Only the prized tender black curls of the tips. Wild, hand harvested, sun-dried, steamed, and dried again. Rich flavor and delicate texture. Great with grains and in stir-fries and salads. Enjoy concentrated sea vegetable nourishment. It is fat free and very low sodium. Eden Hiziki Hizikia fusiforme is a dark brown, bushy plant that grows in the pristine coastal arctic currents off the eastern shore of Ise-Shima, Japan. Hiziki needs plenty of sunshine, clean water and years to mature. Hiziki has long thick branches that stand straight in the water, like hair floating upwards. At the top of the stems or branches are smaller branches, much thinner than the main stem. On these smaller branches near the surface grow small, thick, pointed blades that resemble pine needles. When you purchase Eden Hiziki, this is the only part of the plant you get, the most highly prized tiny, tight curls called 'mei hiziki'. Lesser brands pack a mix of stems, branches and sometimes none of the tender blades that the Japanese cherish. Eden Hiziki Sea Vegetable grows wild in rocky, environmentally protected coastal waters. Here it receives a great deal of sunlight and grows at a depth of one to two meters (three to seven feet deep). The height of the plant ranges from one and one half to over three feet tall. 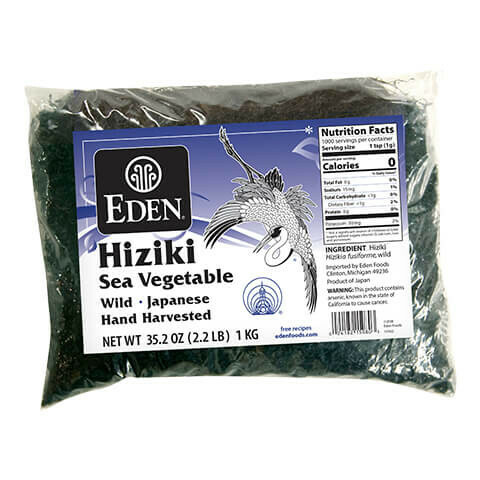 Eden Hiziki is carefully selected and hand harvested at low tide during spring. It is washed, sun dried, steamed for at least four hours to soften the plant and reduce its astringent flavor, and left overnight to cool and dry. The hiziki is then soaked in the juices of cooked arame (another sea vegetable) to enhance its black color. It is then naturally sun dried again and packed. There is some confusion as to the proper spelling of the sea vegetable. You may find it spelled 'hiziki' in some recipes and 'hijiki' in others. That is because the Japanese name is spelled 'hijiki', and the botanical Latin name is 'Hizikia fusiforme', hence the name 'hiziki'. Hiziki has been a traditional part of the Japanese diet for centuries. It is believed to enhance hair quality, strengthening it, and adding luster. Many Japanese credit eating of hiziki for their lustrous black hair. It has become popular in America among the health conscious. 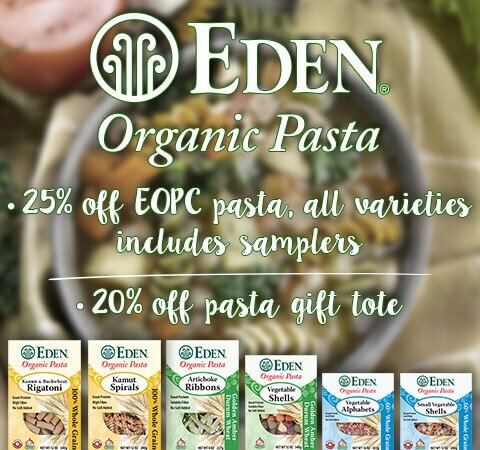 Eden Hiziki is better tasting and more nourishing than commercial hiziki because it's steamed instead of boiled, contains no artificial softening agents or chemicals and contains only the most delicious and nutritious parts of the plant. When cooked it turns a deep, lustrous black and expands to four or five times its size. Hiziki has a stronger taste than many sea vegetables, but is deliciously sweet and extremely nourishing. 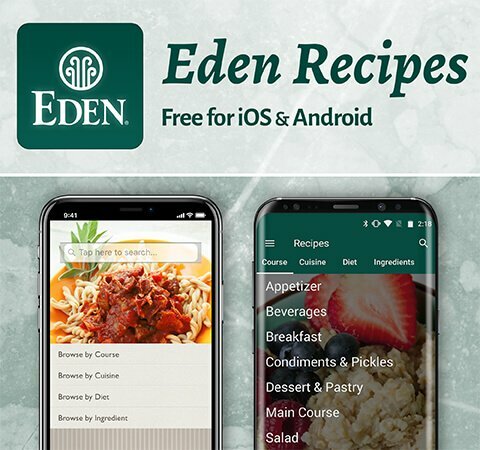 Eden Hiziki is especially delicious when cooked with naturally sweet vegetables such as onions, carrots, and sweet corn. It combines well with tofu and tempeh. Eden Hiziki can be cooked with grains, in soups, kneaded into bread dough or used in whole grain or bread stuffing. It's delicious in salads topped with vinaigrette, tofu or sesame tahini dressings. 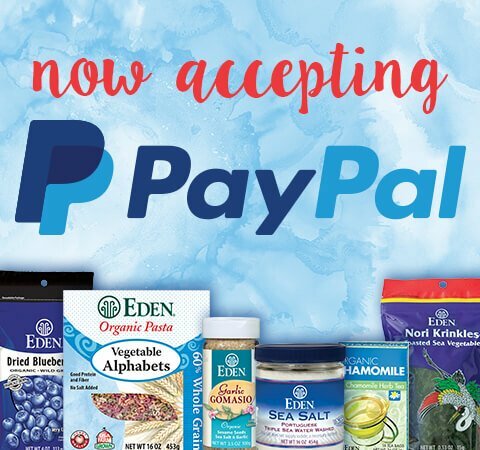 It can be used in baked stuffed potatoes, tofu or noodle stir fries and vegetable sautés. Add a small amount to homemade grain or tofu burgers and deep fried croquettes. It can be finely minced and cooked with sesame seeds, ginger and shoyu for a vegetarian substitute for caviar. To use Eden Hiziki wash under cold water then soak for 15 minutes or longer. Discard the soaking water (or water your plants with it). To use in grain dishes, stuffing, salads, burgers, or croquettes, boil the hiziki for 15 to 20 minutes prior to combining with the other ingredients. For hiziki and vegetable side dishes, cook the hiziki for 25 to 35 minutes with vegetables and season with Eden Shoyu Soy Sauce near the end of cooking.